The NHAP collection includes black-and-white aerial photographs at a scale of 1:80,000 and color infrared aerial photographs at a scale of 1:58,000 as depicted by these images of the Padre Island National Seashore in Texas. The National High Altitude Photography (NHAP) program was coordinated by the USGS as an interagency project to acquire cloud-free aerial photographs at an altitude of 40,000 feet above mean terrain elevation. Two different camera systems were used to obtain simultaneous coverage of black-and-white (BW) and color infrared (CIR) aerial photographs over the conterminous United States. The color-infrared photographs were taken with an 8.25-inch focal length lens and are at a scale of 1:58,000. The black-and-white photographs were taken with a 6-inch focal length lens and are at a scale of 1:80,000. The NHAP program, which was operational from 1980 to 1989, consists of approximately 500,000 images. Photographs were acquired on 9-inch film and centered over USGS 7.5-minute quadrangles. The NHAP collection includes black-and-white and color infrared images. Black-and-white (BW) panchromatic film is sensitive to the full visible portion of the electromagnetic spectrum of light and captures images in tones of gray ranging from black to white. Color infrared (CIR), or false color, film is sensitive to green and red in the visible portion of spectrum of light and extends into the near-infrared region of the spectrum. Vegetation is distinctly red to magenta in color infrared images because vegetation is highly reflective in the near-infrared portion of the spectrum. CIR photography utilizes high speed film that is subject to degradation prior to processing, which can create an overall blue cast to the image. The scale of the image is the ratio of the distance on the image compared to the equivalent distance on the ground. An image with a scale of 1:58,000 means that one inch in the photo is equivalent to 58,000 inches on the ground. An image with a scale of 1:58,000 (1 inch equals about 0.9 miles) would cover a smaller area on the ground with the landscape details appearing larger than an image with a scale of 1:80,000 (1 inch equals about 1.26 miles). Aerial photographs are acquired by aircraft equipped with mapping cameras. The recording technique for the NHAP film collection is vertical photography, which is obtained with the camera pointed at the ground. Images are cartographic quality with a 60 percent overlap of images to allow for stereographic viewing with specialized equipment. Commercial flight contractors were required to meet a stringent list of acceptance criteria in order to fulfill contract requirements. All photographs were manually assessed to ensure that they met the photographic, cartographic, coverage accuracy, and quality standards of the NHAP program. Even though the images in the NHAP collection met contract requirements, users should note that the images have not been geocorrected. The images may have feature displacement and scale variation caused by differences in elevation, lens distortion, and camera tilt. Since the medium and high resolution digital products are reproductions of aerial photographs, any geometric inaccuracies in the original photograph are carried over into the digital products. EarthExplorer offers the entire NHAP collection, which includes accepted photography as well as any other frames on the roll of film. To view additional frames on a roll of film in EarthExplorer, set up a search for your area of interest then select the “View Entire Roll” icon by one of the images on the results page. Images have been captured as they appear on the roll of film and may need to be rotated to adjust the orientation. USGS EROS offers medium and high resolution digital products for the National High Altitude Photography collection. Both products are stored in Tagged Image File Format (TIFF). The medium resolution digital NHAP products were created with a digital single-lens reflex camera at a resolution of 63 microns, or 400 dots per inch (dpi). These products can be downloaded through EarthExplorer. The USGS Film Archive is being systematically scanned at a resolution of 25 microns beginning with film sources that are affected by vinegar syndrome degradation. High resolution scans of NHAP photography will be offered to the public at no charge after the work has been completed for older photography. USGS EROS is currently offering on-demand scanning services for NHAP photography to meet customer requirements for high resolution scanned images. On-demand scanning is available for NHAP film sources that are held in the USGS EROS film archive. EarthExplorer has an ‘Order Scene’ icon () on the results page for images that are available for photogrammetric quality scanning. Options for high resolution BW images include 25 microns (1,000 dpi), 14 microns (1,800 dpi), or 7 micron (3,600 dpi). Options for high resolution color images include 25 microns (1,000 dpi) or 14 microns (1,800 dpi). Color images are limited to 14-micron due to file size. On-demand film scans for the NHAP data set are not archived in the USGS EROS database and are not available for download through EarthExplorer. Medium resolution and existing 25 micron NHAP images are available for download at no cost. On-demand high resolution film scans are available for 30.00perframe.A30.00perframe.A5.00 handling fee is charged for each on-demand scanning request. Coverage Maps indicating the availability of NHAP products are available for download. EarthExplorer can be used to search, preview, and download medium resolution digital files at no cost. Existing high resolution images at 25 microns are also available for download at no cost. For all other high resolution imagery, an order will need to be placed in EarthExplorer to scan the film at $30.00 per frame. The collection is located under the Aerial Photography category as NHAP. 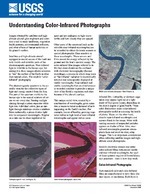 NHAP photography can also be ordered through the USDA Aerial Photography Field Office (APFO).